Whether you own a small, medium, or large business and whether you sell products and/or services, content marketing is an important part of your overall marketing strategy and when you are initially creating your business plan, it should be an integral part of your thinking and of your approach. You may or may not be tired of hearing that content is king when it comes to your business’ success, especially regarding your online interactions with other people. However, as important as content is to your overall professional success, the quality of your content is just as important and it is critical to our success to keep it fresh and exciting on an extremely regular, consistent basis. There are many different approaches that you can take to market your content successfully and the approach that you choose may make a world of difference to your particular business. Make sure that your content is customized within your marketing strategy: When it comes to your content, it is essential to realize that your content must be reigned in as opposed to being strewn about without any type of structure or guidelines whatsoever. Your marketing strategy will serve as your road map and if that has been created in an organized, well-thought-out manner, you will be setting your business up for tremendous success. Write amazing headlines: It is important to remember that you have exactly 3 seconds to capture the attention of your readers and you will do that with your headline. If you don’t succeed at grabbing your readers’ attention in 3 seconds, they will move on to someone else’s content and that is the last thing that you want or need. If you do manage to grab the reader in 3 seconds, you have a good chance that they will read your article all the way to the end. It is more challenging than you may think. That is exactly why your headline must be really compelling, exciting, insightful, and it must touch your reader on an emotional level. In other words, that person must be able to relate to what you are expressing. Share your best story with your readers: As was just stated above, the emotional connection between you and your readers is critical to your success. Your story must not only be touching in general but it must touch your readers personally. You must be able to engage your readers and to make them have a desire to continue to interact with you, over and over again. It is extremely important that you provide your readers with a call-to-action somewhere in your content so that they have a way to interact with you. If you don’t do that, your relationship together will be over before it has had a chance to begin. WIIFM: No matter how amazing you and your business are and no matter how incredible your products and/or services may be, if you are not able to solve the other person’s problem(s), none of the other stuff is important and it will prevent you from going any further with that person. However, if you do manage to solve the other person’s problem(s), you will be well on your way to building a mutually beneficial relationship that will hopefully last for a very long time. Consider your content carefully and consider SEO equally carefully: How the search engines view your content is extremely important because it has everything to do with how you will rank. If you rank high in the search engine pages, people will see your business first when it comes to needing what you are offering. If they see you first, they will get to know you first and, hopefully, eventually choose you first. It is all part of your strategy. Mix up your content: Nobody likes to read the same thing, over and over again. In fact, it is also safe to say that you don’t want to write the same content, over and over again, either. It is important to constantly come up with fresh ideas that keep your readers captivated and motivated. It is great to introduce a graphic element (if appropriate) and making use of videos is another way to entice your readers. Always provide top-shelf content for your readers and for yourself: You may feel that everyone knows this one automatically but you might be surprised at how often this concept doesn’t occur to people. It is important to understand that your content will never write itself and it will never market itself. You will have to work had at making it perfect every time. 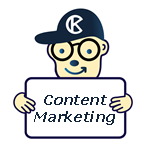 Content is king now and will always be king when it comes to your business. You must make sure that the content that you are sharing with other people is the best-quality, most interesting, most valuable content possible. It is also important to stay on top of trends and new and exciting ways to improve upon what you have already created. Your readers will appreciate it and you will get the results that you are seeking. If you can do that and also manage to put yourself in the shoes of the other person, you are bound to be a raging success. If you don’t offer the best quality content, someone else will.